NOTE: The Second Age may have marked the rise of those who could channel the One Power. In one of the Questions of the Week at the Tor web site, Jordan indicates this, although he also suggests that the ability to channel may have began at the end of the First Age. 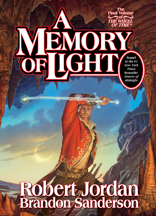 NOTE: In one of the Questions of the Week at the Tor web site, Robert Jordan contradicts the information presented in The World of Robert Jordan's The Wheel of Time in regards to Dreadlords. The guidebook clearly indicates that Aes Sedai who turned to the Shadow in the Age of Legends were known as either Dreadlords or Forsaken/Chosen, depending on their level of power. In the QOTW, however, Jordan states that all of the Aes Sedai who turned to the Shadow during the Second Age were known as Forsaken/Chosen, and that Dreadlords only refers to Shadowsworn channelers during the Trolloc Wars. Apparently the guide has information that is intentional incorrect in order to reflect the confusion that WOT historians would face in trying to recreate past events with incomplete records. Although some historians set the end of the War of the Shadow and the beginning of the Breaking of the World as ocurring on the same day as the strike at Shayol Ghul, others extend the War for another decade, since the forces of the Light and the Shadow continued to fight. The exact date for the Breaking of the World is impossible to define. The seeds of destruction were certainly planted on the day that Lews Therin and his Companions sealed the Bore, but the world was not immediately destroyed by their resulting rampages. The Breaking ends after the death of the last male Aes Sedai. Various sources indicate that the length of the Breaking ranged from 239 to 344 years.